Some of the resources in this article originally appeared in one of my comments on a reddit post that became quite popular. Here’s the original thread, and my new write-up is below. Learn about arrays, linked lists, binary trees, hash tables, graphs, stacks, queues, heaps, and other fundamental data structures. You’ll need to know some mathematical concepts from several different areas if you want to excel at algorithms. Learn about set theory, finite-state machines, regular expressions, matrix multiplication, bitwise operations, solving linear equations, important combinatorics concepts such as permutations, combinations, pigeonhole principle. Learn how data is represented in a computer, the basics of digital logic design, boolean algebra, computer arithmetic, floating-point representation, cache design. Try and learn a little about C and Assembly programming. Once you feel like you have a good understanding of most of the concepts listed above, it’s time to start diving into the algorithms part. Here is a list of resources and things I did to get better at writing and understanding important algorithms. 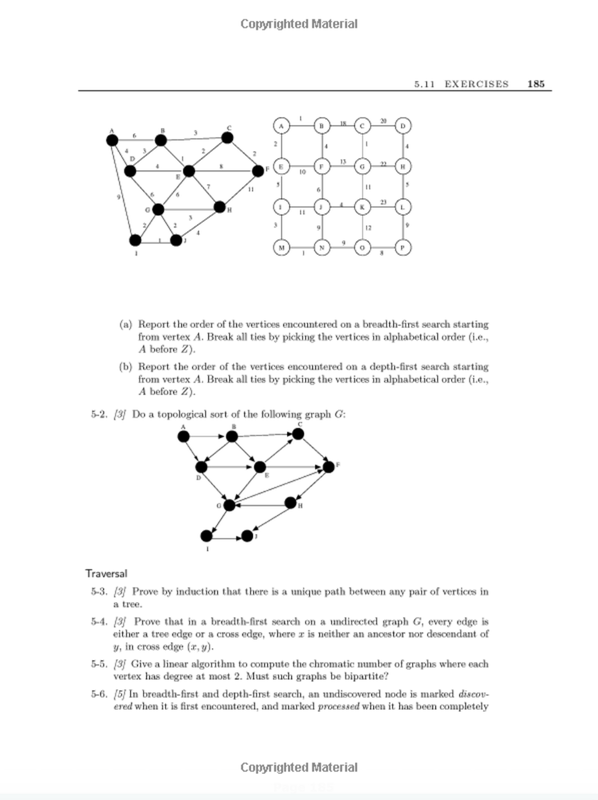 Pages taken from The Algorithm Design Manual. Learn what Big-O is and how to analyze the running times of algorithms. This is a classic book on the topic (here is the chapter on the growth of functions). Here is a good list of online courses that teach algorithms. Read the Algorithm Design Manual. It’s a great book and it’s my favorite. 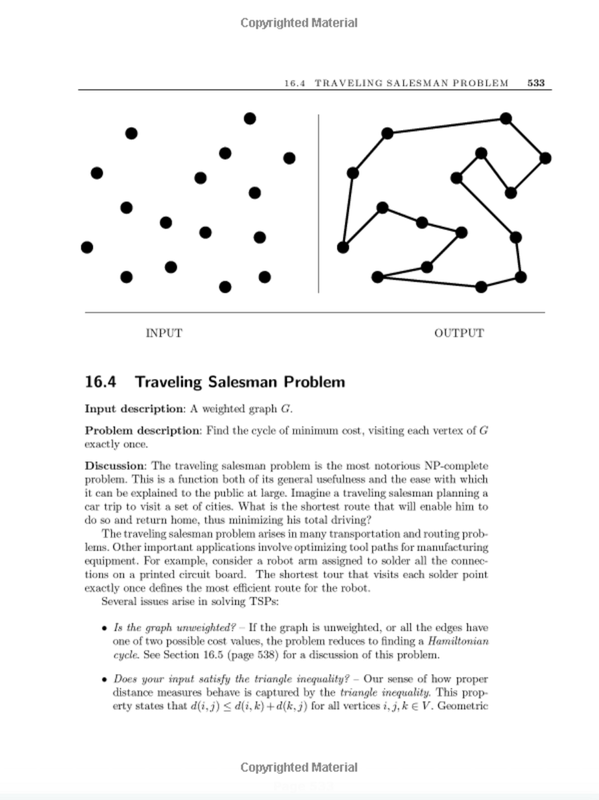 Introduction to Algorithms is a classic book that covers a lot of material. Elements of Programming Interviews contains a lot of challenges and code solutions that will help you prepare for interviews. Practice coding simple and then more advanced algorithms on sites like Coderbyte and HackerRank which provide explanations and solutions so you can learn from other coders as well. Go through the challenges on this interactive python algorithms website. The 10 most popular coding challenge websites for 2017. The 5 hardest code challenges for beginners. Read as many algorithm explanations and code examples as you can on GeeksforGeeks. 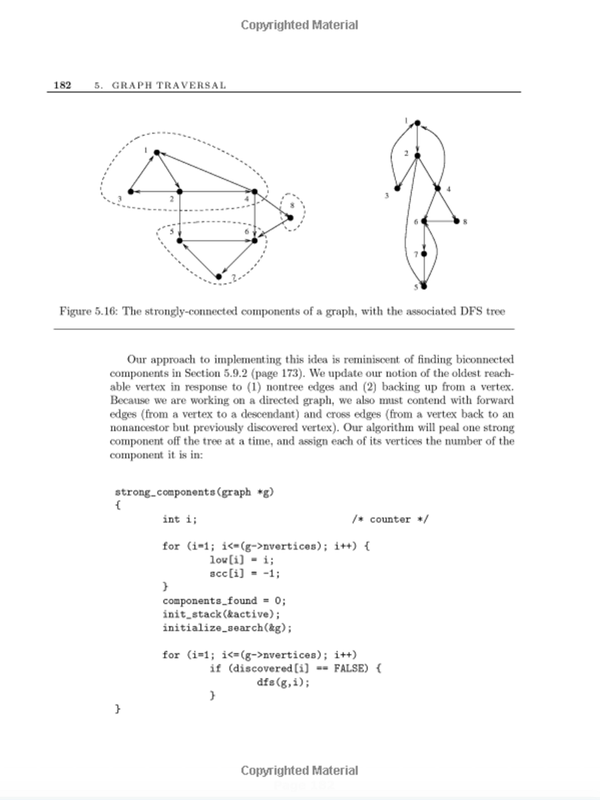 Here is an example of a good post on graph algorithms. Look at some interview questions posted on CareerCup and try and understand how other users solved the questions. Like this example. Aside from coding challenge sites, try and solve common coding interview questions you find online such as the ones on this list. A method for solving a complex problem by breaking it down into a collection of simpler subproblems, solving each of those subproblems just once, and storing their solutions. The next time the same subproblem occurs, instead of recomputing its solution, one simply looks up the previously computed solution, thereby saving computation time. I have seen dynamic programming show up in several coding interviews I’ve had. I’ve also seen problems that require a dynamic programming solution on challenge sites like LeetCode, Google Code Jam, and several challenges on Google Foo Bar required a DP solution. I’d recommend to try and solve as many problems on this list as you can. There is also a good tutorial on TopCoder titled: Dynamic Programming — From Novice to Advanced. A lot of DP problems have the same structure and patterns so if you solve 3 DP problems everyday for 2 weeks or so, after a while you’ll be able to spot and solve a DP problem no problem. I hope you enjoyed this list of resources. Feel free to practice coding on Coderbyte, and comment below with any other resources you think are helpful.